When it comes to Thanksgiving outfits, I am ALL about comfort. I am trying to eat as much as I possibly can, and busting out of a pair of tight jeans is not my idea of fun. 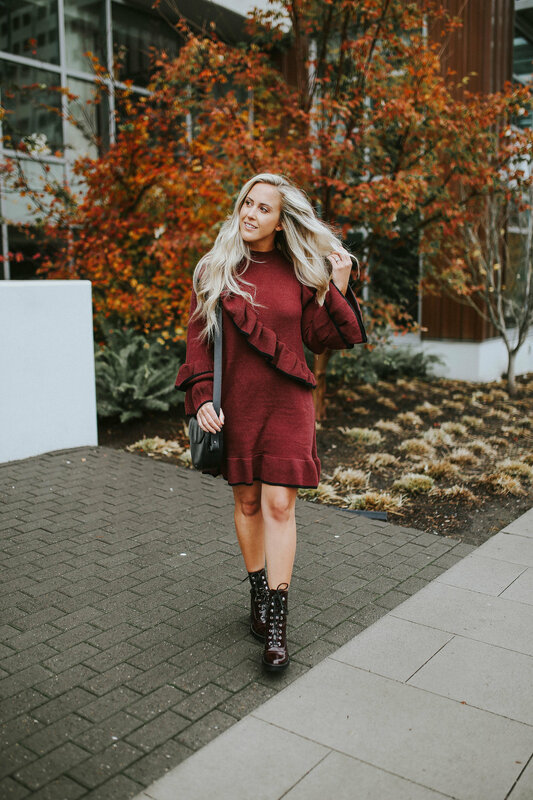 Insert the sweater dress ( allowing you to eat as much as you want). 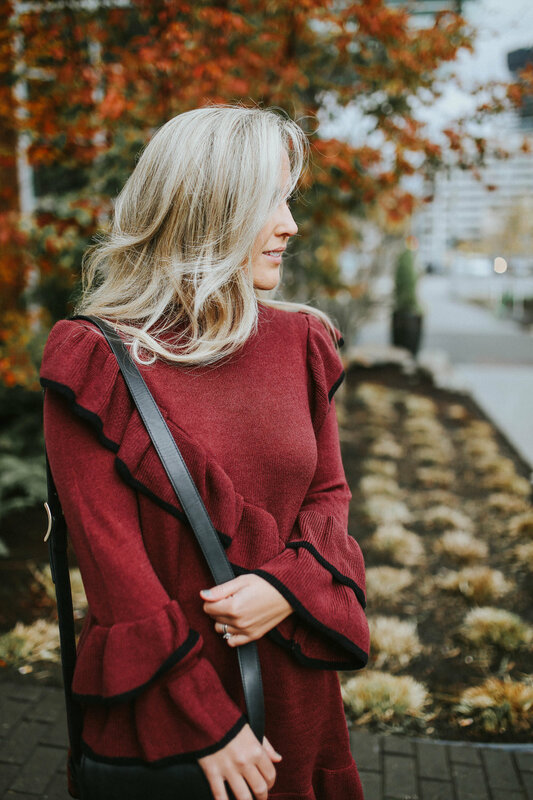 I immediately fell in love with this ruffled cutie and knew it would be the PERFECT look for Thanksgiving. 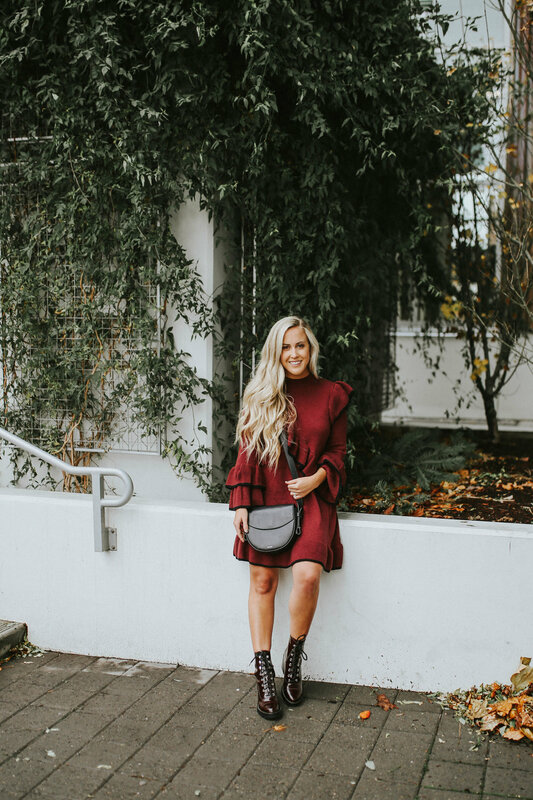 Its cozy (not itchy at all), doesn't cling to me (another no when I look for sweater dresses) and will allow me to eat everything on the Thanksgiving table and still be able to breathe (well maybe). It's only $69 and comes in a black and white version too. 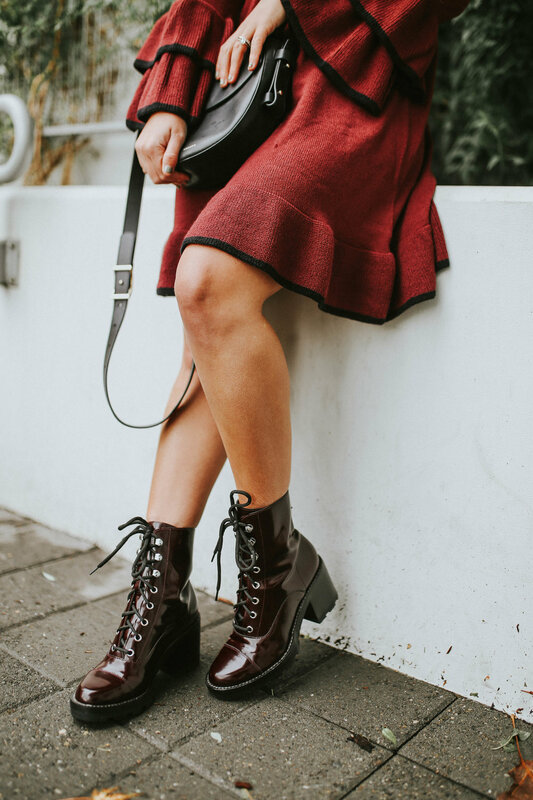 I decided the ruffles needed a little bit of edge, so I added my new combat style boots from Marc Fisher. They are seriously SO cute and extremely comfortable. I also love that they are a patent leather which makes them super wearable for the plethora of rain we get in Seattle. I was a little hesitant to get them in the red color, but I am so pleased that I did because they literally go with so much of my Fall wardrobe. You will definitely be seeing them many more times on the blog!